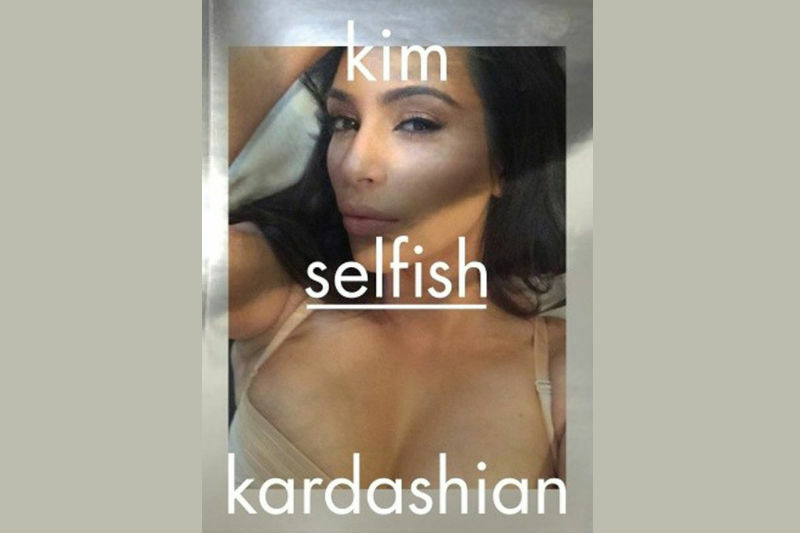 SI CHIAMERÁ “SELFISH” (MA DAI), CI SARANNO 352 PAGINE, HARD COVER (CHE NON VUOL DIRE CHE IN COPERTINA CI SARANNO ZOZZERIE, MA CHE SARA’ RILEGATO) ED USCIRA’ AD APRILE 2015 ALLA MODICA CIFRA DI 19.95 DOLLARI. “THE MODERN-DAY PERSONIFICATION OF MARILYN MONROE”. È USCITA LA COVER UFFICIALE DEL LIBRO. MOLTO BENE.